means PURE in Scandinavian & BODY in Sanskrit. 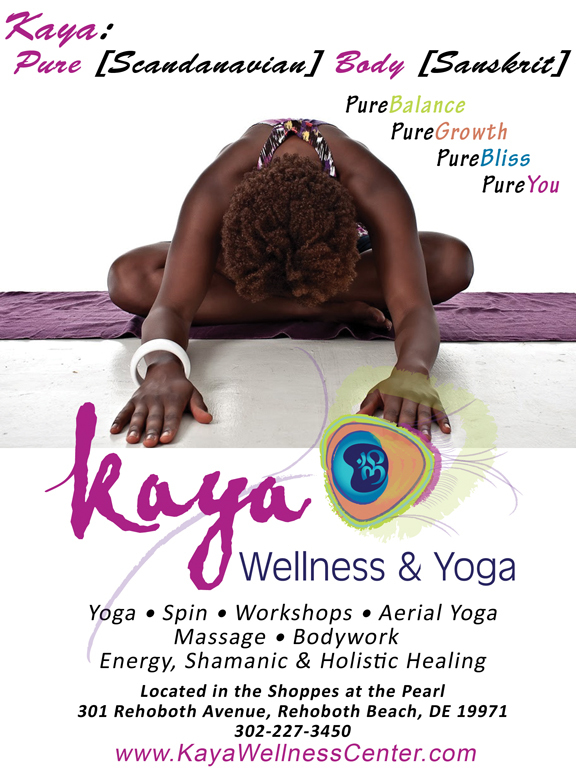 This Spring Kaya Wellness & Yoga will open its doors in the Shoppes at the Pearl on Rehoboth Avenue in Downtown Rehoboth Beach. A complete Wellness Center, we will be here to support your growth through yoga, movement, and bodywork. • Creates sense of well being and calm. But… there is so much more to yoga. Between work, home and all of the demands and stresses in between, it’s easy to lose touch with who we are, that core essence with which we were born. By stilling the mind, and becoming present in our body, yoga helps us get in touch with our true selves. Students are encouraged to allow the wisdom of the body to supersede the chatter of the mind. Yoga stills the fluctuations of the mind. Then the true self appears. There are various styles of yoga available, so it is possible to find a practice that is “just for you”. If you have tried yoga in the past and thought that it’s not for you, I encourage you to try a different teacher, different studio, or different style. Don’t miss out on the powerful benefits of this ancient practice because I assure you that there is a style that will work for you. Just as yoga is not merely about physical flexibility, it is also more than a quest… it is about overall wellness and lifestyle choices. Our center features a full service wellness center that promotes the importance of taking care of yourself. We are a living system of energy. If an imbalance occurs in one of those systems, mechanisms within the other systems activate to help keep the body functioning properly. If these imbalances are not corrected, over time, disease occurs. So the next time you book a massage or bodywork, think of it as a necessity, not a luxury. Terri Pippin, The Medicine Woman, formerly of Wilmington, DE is proud to call Kaya her new home in the coming months. She offers energy, shamanic, and holistic healing, as well as massage and bodywork. Ayurveda, the ancient science of rejuvenation, offers a natural approach to health and goes hand-in-hand with yoga. Kim Larson & Terrel Broussard will be visiting Kaya from April 9 – 17th to offer a wide range of Ayurvedic Treatments to help you feel light and clear this spring by balancing the kapha dosha during this season for cleansing and renewal. Not sure what ayurveda or the kapha dosha is? Kim & Terrel will be offering a “Vibrant Living” workshop on Ayurveda that will cover: • basic ayurvedic principles of daily and seasonal cleansing • learn to identify your personal doshic constitution • find aromatherapy and massage techniques right for your dosha and for the season • practice yoga postures and breathing exercises to open, clear, and enliven the body. Learn from this dynamic team how to use ayurvedic yoga and daily practices to reclaim your health and vitality! Come discover yourself and live your best life! We are here to support your growth & look forward to serving you! For more information, call 302-227-3450 or visit us online at KayaWellnessCenter.com. You can also email us at info@KayaWellnessCenter.com . Heather R. Shafer is a graduate of Boston University’s School of Communication. 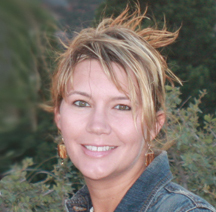 Upon returning to DE, she discovered The Comfort Zone Center for Whole Self Healing which became life changing as Heather began studying under Ed Harrold. Heather completed the Kripalu-influenced YTT offered at the center, and went on to receive certification in Unnata® Aerial Yoga, a new technique of yoga that allows students to decompress their spine, and move into more advanced postures with the support of aerial silks. Heather will be bringing the first Aerial Yoga Studio to Delaware on Aprill 1st with the Grand opening of Kaya Wellness & Yoga in Rehoboth Beach. The studio will also feature traditional yoga, workshops, ayurveda, massage and bodywork.